We are now already in love with our new creative fabric contest for Valentine . 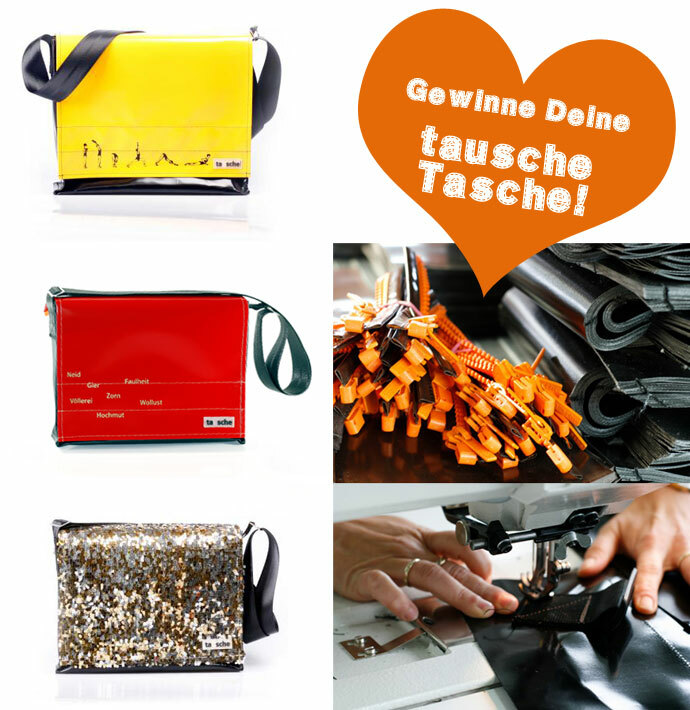 We looking for crazy in love, romantic, generous, self-designed ideas to pimp your tausche bag. All submissions (photos, graphics and images) around Valentine are welcome. The customized printed fabric for the bag has the following dimensions: width 31cm / height 24cm (consider seam allowance of about 1.5 cm, color of the body of the bag is free to choose, see tausche.de). The winner takes it all: tausche bag with two different covers - DIY craft set with your fabric idea and a normal cover choosen from the collection of tausche (no premium cover). How to submit an idea? How to submit? Just upload your fabric design and publish it. Afterwards you can put it to the current fabric contest. Deadline? Until 10 February 2013 we collect your personal ideas for a unique bag. Vote? From 11.-13. February 2013, all registerred users can gibe a vote to their favourite design. A jury decides among the top three - best voted.